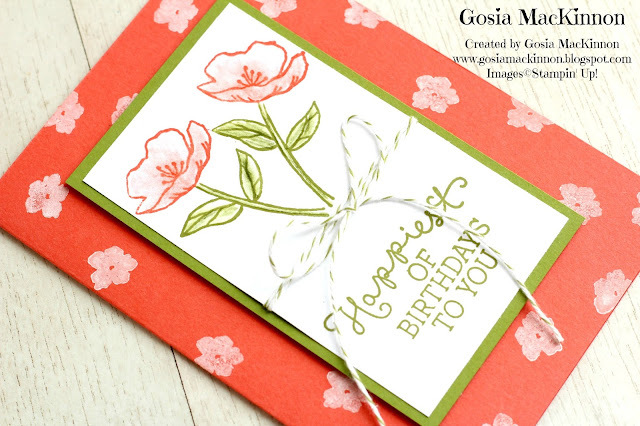 BIRTHDAY BLOOMS QUICK AND EASY CARD IDEA BY STAMPIN' UP! 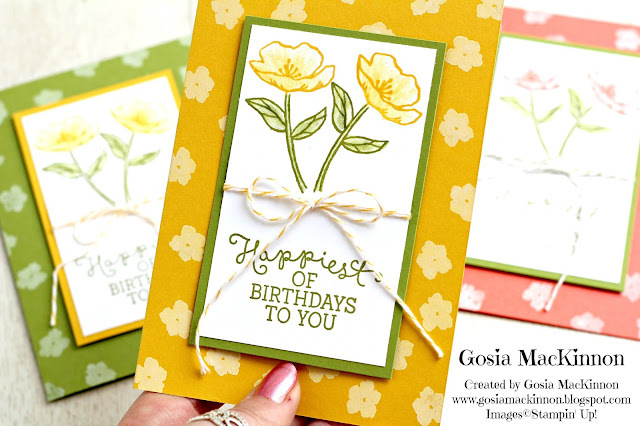 Today I have for you quick and easy card idea using the Birthday Blooms Stamp Set from Stampin' Up! Using the little flower and Whisper White Craft Stampin' Pad make your background on card base. Stamp the two flowers on Whisper White Cardstock -ink up first top of the flower with Crushed Curry or Calypso Coral ink then ink the bottom of the flower with Old Olive ink then stamp. 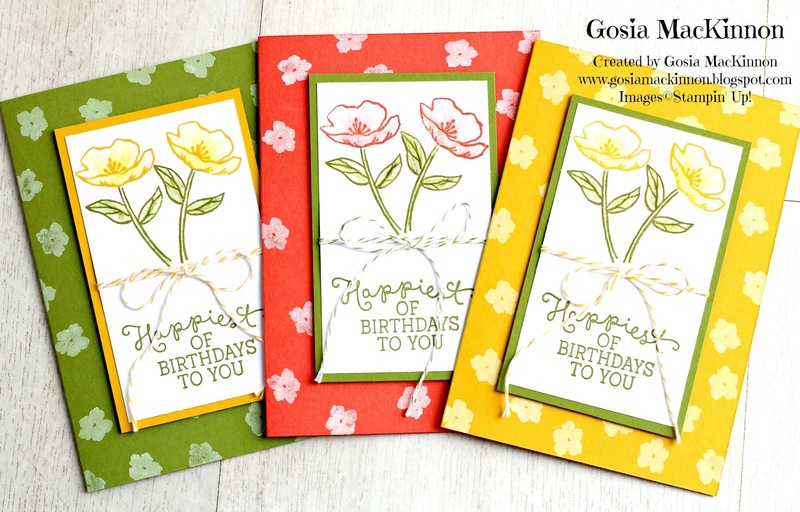 Take the Watercolor Pencils and colour the flowers, use Wink of Stella and/or Aqua Painter to blend the colours. Stamp the sentiment using any colour of your choice - I used Old Olive Stampin' Pad. 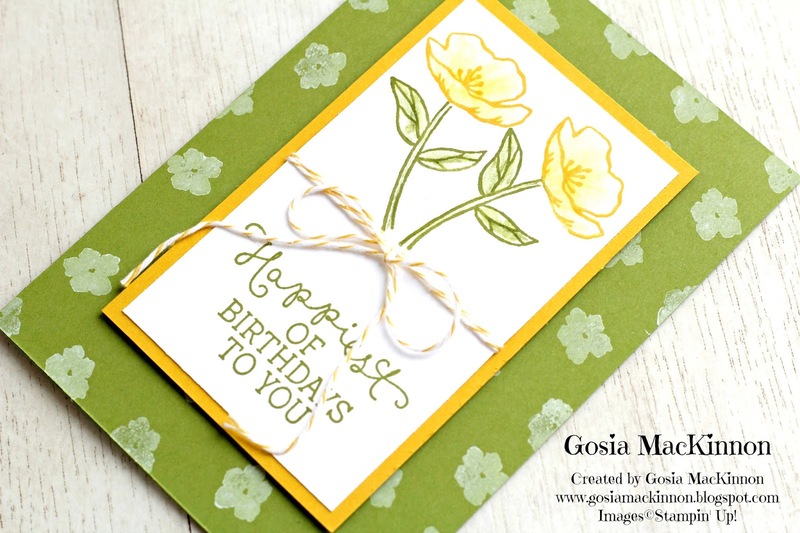 Use Crushed Curry or Old Olive Baker's Twine to decorate your card and adhere the two layers to your card base using Multipurpose Liquid Glue and Stampin' Dimensionals and that is it! 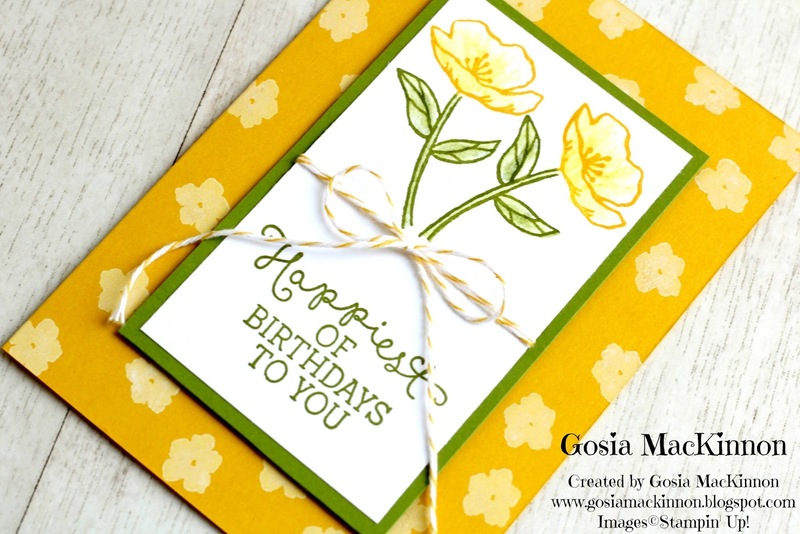 Thank you very much Glenda.